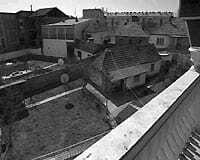 This is the gruesome story of a mass murder in a garden in a village in Kosovo called Podujevo, a flight from prosecution by one of the accused in the massacre and the remarkable struggle for justice of the children who survived it. A tiny garden. Once it was a peaceful refuge. Now it is haunted by ghosts and memories. Five years ago, 19 frightened children and their mothers were lined up against a wall. They were sprayed with machine-gun fire. The sound was deafening. The carnage unimaginable. Saranda Bogujevci was 13 years old. Everything in her life was shattered. "I saw my brother at my feet, shot in the head. I saw my cousins, my grandmother, my auntie�," she says. This is the story of one awful crime that might have disappeared into the fog of war along with so many other crimes at that time, except for the courage of those who witnessed it and pursued justice for those who were murdered. "I was hoping so much about my mom. And my older brother. 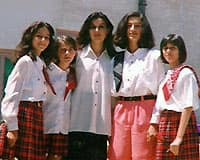 I was always hoping they were alive," Saranda says. Saranda Bogujevci and four of her cousins miraculously survived the garden massacre. The killers walked free but didn't know that one day, Saranda would pursue justice as far away as Canada for what happened. Saranda is now 18 years old. She and her remaining cousins live in Manchester, England. Her uncle and her father had fled into the forest on the day of the massacre, thinking only the men were in danger. Now, her father is the only member of her immediate family still alive. 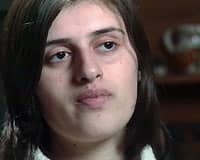 Saranda's brothers, her mother, her cousin Nora, her grandmother and family friends were all killed. Some photos are the pieces of their life left from the events of five years ago. In March 1999, nearly a million ethnic Albanians fled Kosovo. Serbian leader Slobodan Milosevic had launched his most effective ethnic cleansing operation of the entire Balkan wars. NATO forces bombed Serbia to stop Milosevic. Saranda's family didn't run with the others. They thought the war would end within days. They believed NATO would liberate them from years of tyranny. "And I remember my cousin Nora saying I'm going to be free on my birthday. And she went to my uncle and said, you know, 'can I have a party?' She was going to turn 15. And she was very excited. And, you know, she didn't even make it to be 15." While NATO bombed, Milosevic dispatched a squad of his notorious special police called Scorpions. One of the Scorpions was Goran Stoparic. We have to hide his face to protect his identity. It's dangerous for him to disclose the details of these operations. Stoparic says his unit had many ruthless killers. "At the time, the word was that the Scorpions had been resting for four years, and now they craved war. That was literally the feeling. During those four years, we were in a stand-by status and missed war. There would have to be bloodshed," Stoparic says. Saranda and the other women and children  along with a few old men  watched their town fill up with soldiers and Scorpions. The Serbs had orders to cleanse the town of Albanians. They found Saranda's group and forced them out at gunpoint. "There was a kind of path there and we stopped there in a line. They started searching us and they were saying things but I didn't know what they were saying," Saranda says. "We really didn't know what the procedure was, nor what we were supposed to do with the civilians. The safest thing was simply to get them off our hands and then send them on their way," Stoparic says. "There was this thing inside me, you know, this is my family, nothing can happen to them. I just know, nothing can happen to them," Saranda says. One of the Scorpions ordered the women and children back into the garden. Saranda's aunt was in the lead. "And then, in front of the Albanians, one of the Scorpions shouted: 'Why are you taking them outside? Take them back to the houses,'" Stoparic recalls. "That's literally what was said. The women and children came back, passed by us once again and entered the garden through that tunnel-like passage. It didn't occur to us that something was about to happen to those women and children." "She [Saranda's aunt] was crying and talking their language because she speaks Serbian. And she said, they're only children. They pushed us right behind the house and there was this path and they pushed her further down the path and one of the soldiers just shot her," Saranda says. "So, first of all, I heard only one round," Stoparic says. "That is clear  only one of them started shooting first; I don't know who. But then the rest joined in, and the firing lasted 50, 60 seconds. And while the shooting was still going on, I guessed right what was happening." "When they started shooting, because I was kind of in the middle, I just leaned on the wall and slid down," Saranda says. "And put my hands around my head. And when I got down that's when the bullet hit on my right leg twice�.And then they started shooting again and hit me in my arm and back." "At that point, a soldier of the active SAJ [anti-terrorism unit of the army] showed up. I think that his name was Vuk," Stoparic says. "At that point a soldier from another military unit ran inside the yard and, after a short while, carried out a child, a girl, and laid her on the road in front of us. Then a colleague of a soldier from another unit made for the garden himself, but the others stopped him and said, 'Don't go there. There's nothing to see.' And the colleague said, 'They haven't killed them all, have they?' 'All of them,' he was told." But they were not all dead. Beneath the bodies, a handful of children  alive and afraid to move. "I heard then the sounds of someone talking and there were shouts as well," Saranda says. "So I just moved and started breathing and they noticed I was still alive and they pulled me out." Goran Stoparic saw the men who left the garden, red-faced. Some were changing their ammunition clips. He identified four Scorpions. Among them, the Scorpion commander's brother Dragan Medic; Sasa Cvjetan, a veteran of the Balkan wars; and Dejan Demirovic, only 24 years old but also a seasoned veteran. Much of what Stoparic suspected was confirmed by other soldiers, back at the barracks of Prolom Banja. 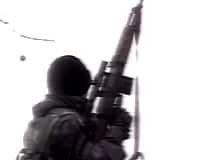 "In my estimation, and based on the stories I heard back on base [in Prolom Banja], I think Medic was the first to start shooting, and those three idiots merely joined in. They thought, "The commander's brother is shooting, why shouldn't we join in?" Stoparic says. "In my opinion, the only motive was the fact that the victims were Albanians, and perhaps because of some hidden immaturity or sickness of mind on their part. They would probably have killed them had they been Bosnians or Croats. But it is certain that they were killed because they were not Serbs." In the midst of the war, it was something unprecedented. 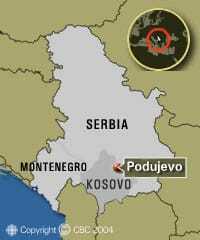 The Serbian Justice Ministry ordered a murder investigation. 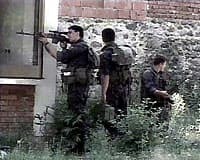 Serbian police were killing Kosovo Albanians with impunity. No one knows why the garden massacre was centred out for special treatment. But there was something about the cold-blooded slaughter of women and children that distinguished this case. Serbian police arrested two of the Scorpions, Sasa Cvjetan and Dejan Demirovic. The men freely gave incriminating statements and signed them. But the police released the men. 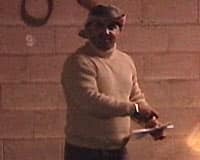 Dusko Klikovac is a homicide detective. He was surprised when he received orders  in the midst of the war  to investigate a massacre of Albanians. He was told the names of two suspects and he took them in for questioning. Dejan Demirovic and Sasa Cvjetan admitted that they had been in the garden at the time of the crime. 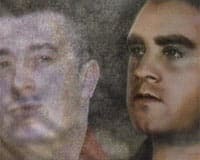 "Since the only two members of that group present with us there were Cvjetan and Demirovic, we created our crime report based on our conversations with them and their statements, and also through consultation with the state prosecutor and this report charges them with the criminal act of murder, that is of multiple murder," Klikovac says. 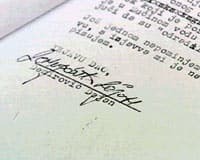 Klikovac showed CBC News the signed confessions of both Cvjetan and Demirovic. He says they freely gave rather incriminating statements. But they were released. Klikovac had little evidence. No one told him that five children had survived. Cvjetan went back to a life of crime. Demirovic disappeared. Goran Stoparic had seen the two men at the garden massacre. He also saw them after they had been questioned. He says they both believed they had nothing to fear. Among Serbian police, they were considered heroes. "They told me they had been interrogated and were told, 'Don't worry, just sign here. Those were only shiptars [dirty Albanians] anyway. This is just for the record.'" On June 12, 1999, 2� months after the attack on Saranda's town, NATO won the war and occupied Kosovo. Albanians jeered as Serb soldiers departed. Saranda and her cousins were in a Kosovo hospital when they heard the news. It was Saranda's birthday. "I was just jumping down the corridor to tell Jehona and it was like, screaming, when I ran down the corridor. And so all the tanks and a lot of people started coming in," she says. Among the foreigners pouring into Pristina were British doctors. Touring the ward, they found the children and assessed the severity of their injuries and how little healing they had done in two months. The children were transported to Manchester, England, for treatment. British doctors set about rebuilding Saranda's limbs. Her arm had been almost destroyed. She had 16 bullets removed from her body. Saranda and her four remaining cousins started a new life in England. All of the children needed extensive rehabilitation to their limbs. Their psyches would take much longer to heal. "It was quite hard at the beginning because of the language and it was a different place. But now it's very good," Saranda says. Dejan Demirovic heard he might be arrested again. He fled. Travelling secretly through Europe and the United States, he ended up in a comfortable neighbourhood in Windsor, Ont. In Serbia, his friend, Sasa Cvjetan entered a life of organized crime. The men thought they had nothing to fear. In October 2000, Slobodan Milosevic was toppled from power. And with him, 10 years of brutal war and ethnic cleansing. The Bogujevci family watched it all unfold on TV. Maybe justice was possible. Milosevic was indicted for war crimes in Kosovo. And then they learned Sasa Cvjetan and Dejan Demirovic were wanted by police for murdering their family. 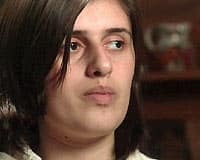 Natasa Kandic is a Serbian human rights lawyer, hated by those she pursues but hailed by the victims of the war for her intrepid search for justice. Kandic was the force behind whatever will the Serbian Justice Department had to prosecute Cvjetan and Demirovic. But the prosecution  and Kandic  needed witnesses. 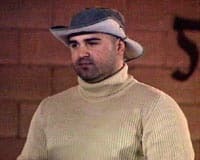 Kandic learned five children had survived the garden massacre. She begged the fathers to bring the children to Belgrade to testify. "Everything that we wanted was justice, in this case, for the victims because I know that justice without Albanians who will come to testify is impossible," Kandic says. "In our communication I said you should join me to fight for justice together. And their fathers said yes, you are right, we should be together to fight for justice," Kandic says. In the first week of summer holidays, the Bogujevci children travelled to Serbia  the heart of all their fears. The security around them was intense. For the first time, Albanian victims of the Kosovo war testified in a Serbian court to explain how their families had been murdered. "The day I testified was actually my mother's birthday," Stoparic says. "And I was in the car and I was looking outside� looking straight into the other car�. It sounds crazy but I saw my mom's eyes. She appeared to me and she was smiling." Sasa Cvjetan was rearrested and put on trial. The children identified him as one of the killers in the garden. They could make no identification of his co-accused, Dejan Demirovic. He was in Canada. Kandic needed corroboration of their story from the only other witnesses who were there  Scorpions, themselves. Every day of the trial, these Scorpions came to the court. The leader  Boca  threatened and bribed witnesses. And then one day, Kandic got the big break. The Scorpions came to the court that day as usual. Satisfied that no one was there that might break rank, they left. They were wrong. The judge called a name. From a side door, one of the Scorpions entered the courtroom. He took the witness stand and he told the whole truth. He named names, including Sasa Cvjetan who was in the courtroom. Cvjetan yelled, "You lying beast," and then he fell silent as did the whole courtroom. The Albanians stared in disbelief. 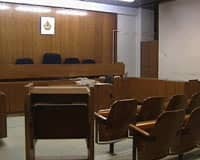 The dark story of the garden massacre came to life in this Belgrade courtroom. Goran Stoparic was that witness. He told the court that he did it for the children. "I believe I did the right thing, although I know it wasn't the safest course of action," he says. "But I am convinced that two or three years from now people's outlooks will change. The Germans have preserved a third of all ruined churches in the heart of Berlin as a memorial and put up a plaque saying, 'This is to make sure we never forget and that this not ever happen again.' So why shouldn't we, Serbs, say, 'We killed them?'" 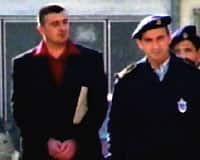 On March 17, three Serbian judges found Sasa Cvjetan guilty of murdering 14 people and gave him the maximum sentence: 20 years in prison. In September, after her testimony in Belgrade, Saranda Bogujevci launched a personal campaign to bring Dejan Demirovic to justice. Demirovic had applied to become a Canadian refugee. Saranda thought then-minister of immigration Denis Coderre would think that was wrong. He wouldn't say. "I'm a survivor of a massacre that took place in Kosovo about four years ago. A man who was involved in this massacre is Dejan Demirovic who came here to Canada and has lived freely here�," she told Coderre. The RCMP agreed to hear her story. For her it was a personal breakthrough. "I don't really know how to describe the feeling. It's � you know, just to know that someone really wants to do something about it and at least they take a look at it and see if they can do something about it, you know," Saranda says. 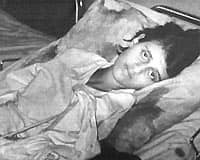 In countless meetings with people like war crimes lawyer Leo Adler, Saranda learned that the case is not between her and Demirovic but between Demirovic and the Canadian government. "You're then into the Canadian process, and unfortunately our experience has shown that it can literally take years," Adler says. Canada's embassy in Belgrade argues we do plenty in the area of war crimes prosecutions. Though the trial of Sasa Cvjetan was only blocks from his office, Ambassador Donald McLennan says the case is not very important in the scheme of things. "You've picked out a very specific example," McLennan says. "One trial of more than half a dozen that have taken place relating to war crimes in Serbia. It does have an indirect Canadian connection, in that this particular individual is presently in Canada. There has been an official request for extradition, and that request is under active consideration at the moment." "It's the lack of real resolution on the part of the Canadian government," Adler says. "They talk a good talk, but, for whatever reason, Canada has always been very reluctant  and this goes right back to the end of World War II  it has been very reluctant to get involved in the war crimes process." Dejan Demirovic refused our interview requests. Serbian authorities showed us letters they got from Ottawa that say Canada plans to deport Demirovic  if he's turned down as a refugee. If so, Demirovic may never face any prosecution. Saranda is losing faith in Canada. "If they could just try to be in my position, where I got shot 16 times, and that's nothing for me compared to seeing my brother with half his head gone. And seeing my family get killed and then them just letting this man walk freely, knowing what he did. If they could just try and understand how hard it is for me," Saranda says. "Nothing that they do can bring my family back. There's only one thing that I want and that's justice." A few minutes of gunfire is all the time it took to smash the lives of so many people. But even with the courage of those willing to tell the truth, Saranda's quest for justice may take years  and those responsible may never have to face what they did that day in this garden.